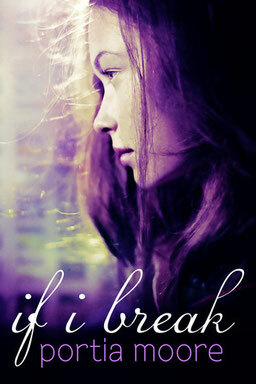 If I Break by Portia Moore is the first of four books which form the series by the same name. I started reading this story - unlike any other I had read - and couldn't put it down. I was drawn into the characters' lives and the mystery surrounding the male lead character. The twist in the story which came closer to the end of If I Break threw me for a loop. I had not expected it and it shook me up so much that I had to keep turning the pages and discovered I couldn't seem to turn them fast enough. If I Break is followed by Before I Break and Almost Broken, which I began reading as soon as the last page of the previous book was read. The fourth title will be released early 2015 and I can't wait to read it! To read my full review, click here. Raine is a story which is sure to affect your emotions on many levels. Sometimes you'll feel like hitting something, other times you'll cry while, at others, you smile. The story is laced with hope in the midst of all the certainty - in the midst of the pain, heartache, even betrayal. It was hard to put this book down after I started reading. I lost far too much sleep over two nights but the journey was definitely worth it and I'd invite you to take the journey for yourself. If you would like to read the full review at Budden Book Reviews, click here. 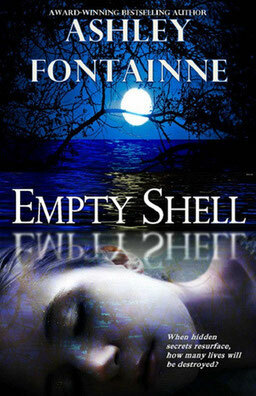 Empty Shell will have your heart stopping and your pulse racing as you watch Melody trying to come to grips with the knowledge of her husband's affair. It doesn't help that he is later accused of murdering the woman he had an affair with and is sent to jail. When Melody truly believes her husband to be innocent of the murder, she fights to clear his name but, on the surface, it seems that, except for his lawyer, no one wants to believe her - refuses to consider the evidence she has discovered. There are a few side stories playing out and they all come together to form a spell-binding conclusion. This is one book you'll want to have on your reading list today. Read my full review at Budden Book Reviews by clicking here. This is a unique situation because, instead of promoting another author's work, I'm showcasing my own story which I wrote in 25 days. During those days, I fell in love with these characters and couldn't wait to see how their story ended. Many pregnant teens and women choose abortion when they learn of unplanned pregnancies or their situations seem impossible for raising children. Other women decide to keep their babies and make the best of the situation while others choose the adoption route. In If Only, Demi chose the adoption route when, at 17 years of age, she learned she was expecting a child. Though she had loved the child's father (David) and they were still dating, she didn't want to force him to give up his dreams. Making a sacrifice, she broke things off with David without telling him about their baby, relocated and had her baby girl without even her family and friends knowing the truth of her situation. Demi and David each moved on with their lives after the break-up but one phone call is all it took to change their lives forever. The title will be published February 14, 2015, in various e-book formats and in paperback. It is a story which will touch your heart. People whose names I've never heard are reading my story and enjoying the journey it's taking them on. A few have said it was amazing; another - who has read most everything I've published and loved each story - says this is my best book yet. Am I excited? Yes! Click here to read If Only's page at Budden Book Reviews.